I recently read with appreciation a funny travel related, yet culturally intriguing article on Sicilian language. Here follows my rendition of the article in a broader language attempting to reach out to those self-motivated travellers who like to have some basic language and cultural homework done before visiting a new place. I mean, those who wish to visit Sicily, at least once in their life, and opt for a deeper, more informed, friendly experience with Sicilians, and warmer memories to take back home. Sicilian. 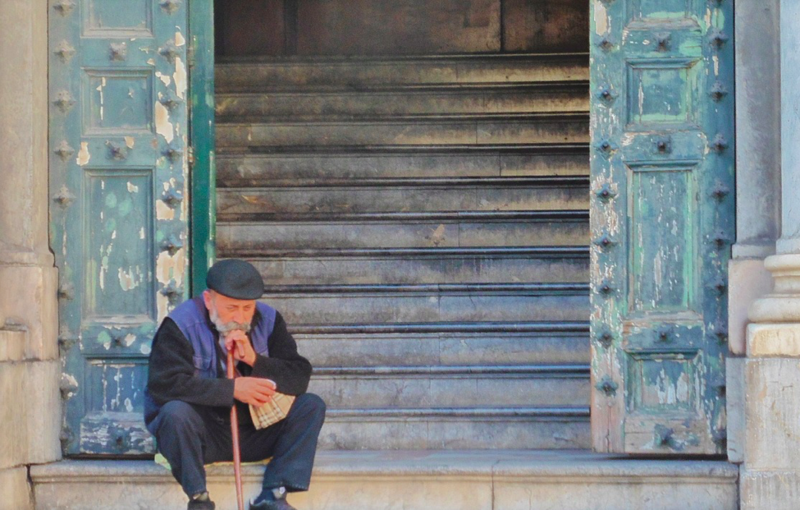 Not a simple dialect, but a true idiom; UNESCO recognizes the Sicilian status as a mother tongue. Colourful but versatile, direct but suitable for any situation thanks to some explanatory exclamations, that every tourist should surely know before setting foot on the island. The dialect is mixed with Italian through loans that act as reinforcers, without which there would be no clarity for a doc Sicilian. Taking stock of the situation in principle, there are 10 words most used by a Sicilian, which make up an average of 50% of a sentence. 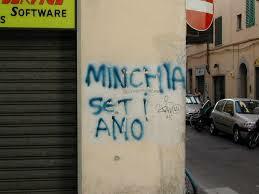 The word “Minchia” here emphasises strong feelings of love. No comment for style used though. . .
First in the ranking for use, we find minchia, word now also legitimized, accepted and used in other areas of Italy. Its use lends itself to different areas and to different situations: irony, exclamation, amazement, fear, happiness and appreciation and is not linked to bon ton and precise rules of behaviour, but it is always accepted and never criticized. It will hardly not happen to hear this word in a common dialogue with a Sicilian. 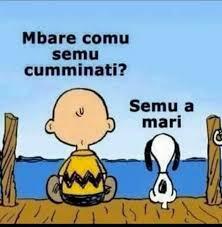 Following we find cumpà-compa / ‘mpare-‘mbare, literally godfather. Its role is actually to put at ease the interlocutor or identify him as a friend, or buddy, in addition to a type of greeting can be a method of reassurance if used at the end of the sentence marking a relationship of confidence. The variant changes if we are in the eastern or western part of the island. 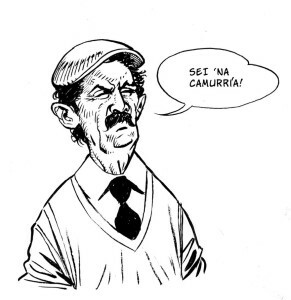 Following we find mizzica in amazement, and for more formal environments, avà, literally “come on” or “let’s go”, used more in the Catania area; and futtitinni, the latter being the real Sicilian mantra, able to exorcise any fear or restlessness. Continuing in the search we will certainly find ammatula, or “unnecessarily”, for example in the expression “longu ammatula” or uselessly tall, to indicate an immature person. And, camurria serious feeling of annoyance. Finally, pacchione, word on which Palermo and Catania are in disagreement, in fact for the first this word indicates a person in considerable overweight in the second case a very beautiful and attractive girl. In conclusion we have peri peri, loitering without any purpose, and ntzù the Sicilian onomatopoeia par excellence. 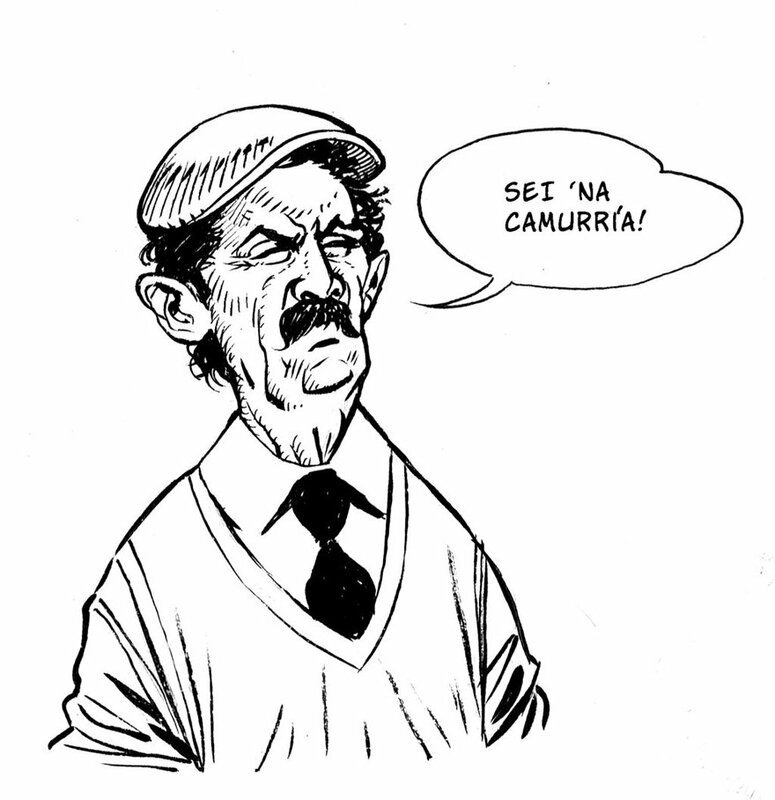 The classic snap of tongue used by Sicilians to deny something. 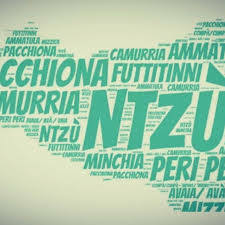 In fact, in Sicily nobody will tell us an abrupt no, but ntzù is more than enough.